Cheltenham chairman Paul Baker says that they could not compete with the deal offered by Blue Square Bet Premier champions Crawley to Wes Thomas. 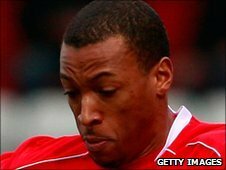 The 19-goal striker left the Robins for Crawley at the end of his contract. Baker told BBC Gloucestershire: "I've heard the package he's on and he wouldn't get that at a lot of clubs in League One, it's staggering. "It shows the money someone is putting in at Crawley to sustain the wage bill. They're not doing it on gates." He added: "There's no way we could have kept Wes but we've learned our lessons. We should have had an option on his deal."